Recommended for Chinese speakers and players in Japan (website available in Chinese, Japanese, and English). Good gaming sites often differ only in detail nowadays. The Royal Panda Casino is a noteworthy addition to this list for a number of reasons. To start with, players from most Asian jurisdictions can participate; it features a number of interesting extras; and you can play up to four casino games simultaneously. Furthermore, Royal Panda is one of the few gaming sites that offers its services not only in English and Japanese, but in Chinese too. The casino was founded in 2013 and holds a licence by the well-respected Malta Gaming Authority (MGA) and the UK Gambling Commission. For players based in Japan it is also worth mentioning that Royal Panda is one of the few online casinos in Japan that gives the option to do your banking in Japanese yen. In most cases players all over Asia have to settle with the US dollar as their casino base currency (deposits and withdrawals at this gaming site are completely free of charge). If you are interested, take a look at our Royal Panda Casino review for Japan. The complete website is available in Chinese, Japanese, and English (that includes many of the games). 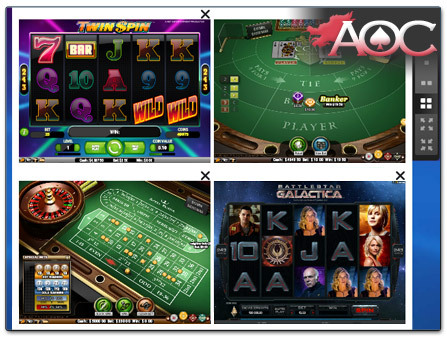 There is a diverse selection of games from various software providers such as Microgaming, NetEnt and NextGen. European-centric live dealer games from market leaders Evolution Gaming are provided. Swift and efficient withdrawals with no fees. Players based in Japan can use the yen as their casino base currency. The Japanese yen is the only currency offered as a base currency – players based elsewhere alternatively use the US dollar. Customer support is only available in English. At Royal Panda Casino you can play all slot machine hits from the NetEnt repertoire; starting from Aloha! all the way to Zombies. In addition, there are a large variety of games by the top software providers Microgaming, NextGen (NYX Gaming) and Thunderkick (as mentioned before, many of the titles have been translated into Chinese and Japanese as well). Not only that, but Royal Panda hosts a variety of slots with a Far Eastern or Anime theme such as Kaiju, Si-Xiáng, Lucky New Year, or Koi Princess (see video below). 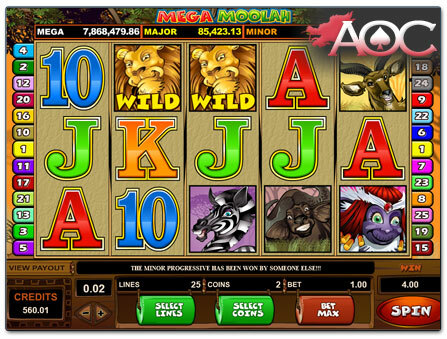 In regards to the progressive games, with around 20 jackpot slots, it almost feels like playing in a classic Microgaming casino since among other titles, the flagship slots such as Mega Moolah (see image below) and King Cashalot are also featured. Jackpot slots by NetEnt, including the record breaking Mega Fortune, which paid out the highest online jackpot to date and thus is featured in the Guinness Book of Records, can also be found on this site. What is more, all games are directly accessible in the web browser without having to download them and, as a bonus, they can be sampled in demo mode before committing to money play. Table games enthusiasts can benefit from a decent selection of virtual games as well as the Live Casino by Evolution Gaming. This is a common feature among various other Asian online casinos, with many of them also featuring the games by other live dealer services. Therefore, Royal Panda’s primary focus lies on its slot machines. A good online casino can stand out from the competition by offering various extras and features, making the visit more interesting for players and thus providing the best reasons to return. For one, you have the option to play most Royal Panda games on your mobile and tablet. Of course, this is also true for many other gaming sites, but then there is the fact that not every casino can offer players the opportunity to bet on up to four games at once (see below). Furthermore, Royal Panda developed a section on its website that lists hot and cold slots – in other words, this feature gives you a little more information on the volatility of some games. By choosing the option hot (recently paying) or cold (not recently paying), and selecting an amount you want to bet and choosing a timeframe, you will get a list of slots that either tend to pay quick wins (hot slots) or are due for a big pay-out (cold slots). As with other leading Asian Online Casinos, Royal Panda also offers the majority of its desktop games on its mobile instant play website m.royalpanda.com (a casino app is not required). You have the possibility to access vital account information and perform deposits and withdrawals with ease on your smartphone or tablet, and benefit from a truly great selection of games. 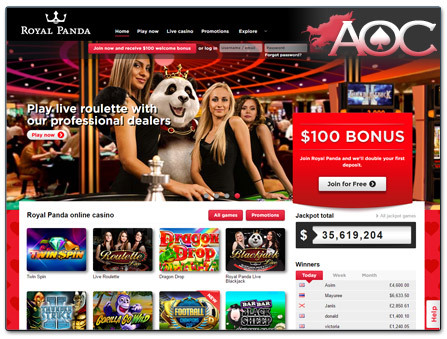 As in the Royal Panda desktop casino, all games are available in demo mode without having to sign up (live casino games are excluded from demo mode). In addition to traditional online casino offerings, Royal Panda also offers bets on over a hundred and fourty different sports, as well as specific bonuses just for sports bettors. Unfortunately, for the time being, players in Asia cannot place sports bets with Royal Panda. Royal Panda gives players based in Japan the benefit of being able to do their banking in Japanese yen. However, there are no other Asian currencies currently supported. In any case, players based elsewhere in Asia can easily set up their gaming account in USD. The good thing is, the selection of payment options is versatile (see list below). Also, deposits and withdrawals are handled completely free of charge. An efficient withdrawal process is one of the positive aspects the Royal Panda Casino is known for. Depending on the chosen withdrawal method, pay-out times should take no longer than 1 to 2 days – if not a few hours only which also depends on the chosen payment method. In addition, there is no withdrawal pending period or withdrawal limit like in some other casinos.